You'll be £25.00 closer to your next £10.00 credit when you purchase Commandos and Rangers. What's this? In the dark days of 1940, Prime Minister Winston Churchill showed his belief in ultimate victory by ordering the raising of the elite Commandos to 'break the intolerable shackles of defeat.' 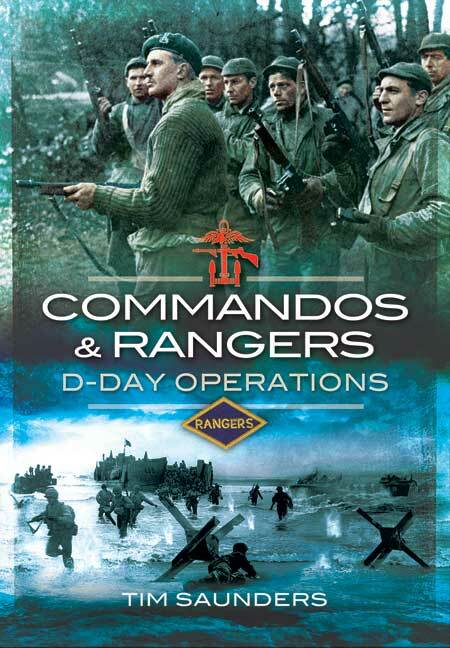 Having proved their worth in numerous raids and operations in the Mediterranean they and their American counterparts, the Rangers, were automatic choices for the most demanding and vital missions of the D-Day Landings in June 1944. These included the capture of key ports, enemy coastal defences and the securing of vulnerable open flanks. rnrnThe tasks allotted to the Rangers included the seizure of Pointe du Hoc while No 4 Commando took the port of Ouisterham and 47 Royal Marine Commando that of Port-en-Bessin. These daring actions and many others are vividly described in this superb book written by a highly experienced battlefield tour expert and the author of many acclaimed guide books. Indeed each chapter concludes with invaluable tour notes for those who wish to visit these historic sites. rnrnIt was only thanks to thorough planning, specialist training, inspiring leadership and, above all, the courage of the men involved that these missions were successfully achieved – but at great cost. A first-class work detailing the work of the elite British Commandos and their American counterpart the Rangers. Having proved their worth, both units were automatic choices for some of the most demanding and vital missions of the D-Day landings...These daring actions are ably described here and provide a fascinating account of thee elite units at war. Outstanding work 10/10.